Wow! This month marks our first year in South Africa. This new year has been quite eventful with many new contacts and open doors for ministry. We would like to mention that we are in the process of getting three-year visas, so we would appreciate your prayers that favor continues to abound. 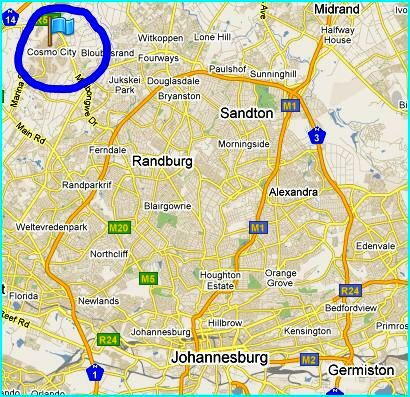 Back in November, we were contacted by a pastor in Johannesburg who had found out about us via our website. He downloaded the series The Power of Grace and after listening to the messages, he got in contact with us and invited us to conduct his church's third-year anniversary. So the beginning of February, the family and I drove 7 hours to Cosmo City (a new suburb of Johannesburg) and were able to meet the pastor in person. Being that I never saw him or even knew what he looked like, I was trusting that he would recognize me as he had me meet him outside of a KFC. He didn't have any problem recognizing me as I was the only "white" person in the area! At the meetings, the people were so hungry for the Word of God's grace that on Saturday evening, I preached for 1.5 hours before I even looked at my watch. Everyone was drawing on the ministry of the word. 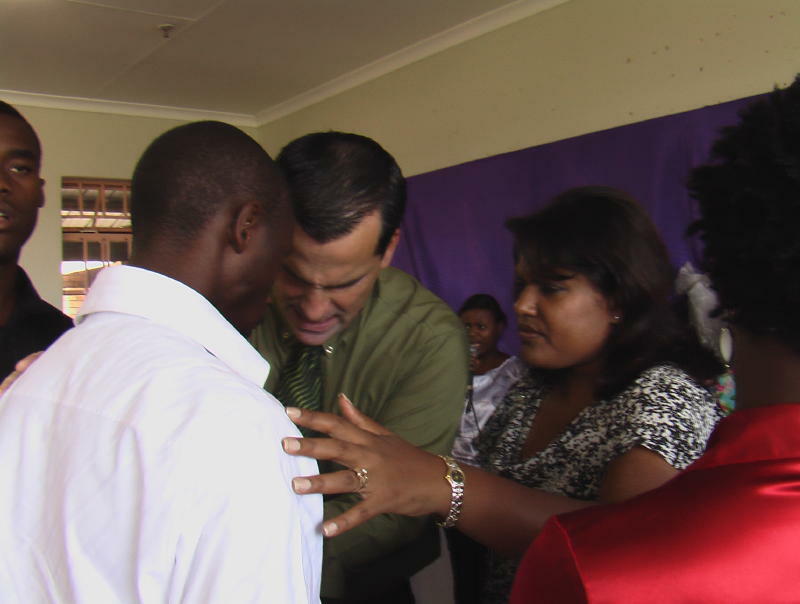 At the end of each session, we saw many people respond to the ministry and the Lord touched and healed many people. 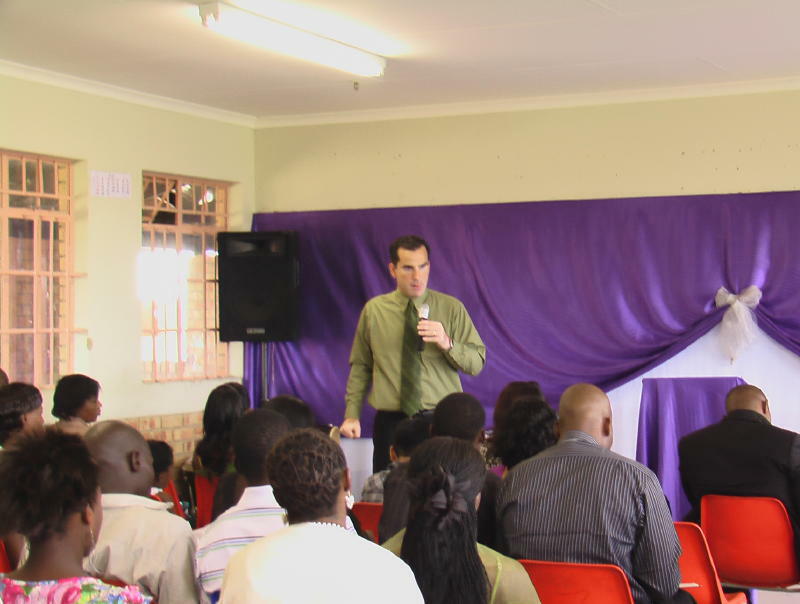 The motto of the church in Cosmo City is "Everyone is an Ambassador of Christ". The pastor's desire is that his people would become grounded in the Gospel of Grace and that they would be ministers wherever they go. The meetings went so well and such a connection was made with the pastor, his leaders and his congregation, that if everything works accordingly, a bible school is going to be started right in Cosmo City in April. They will be watching Charis Bible College DVDs and we will travel and minister there once a term. 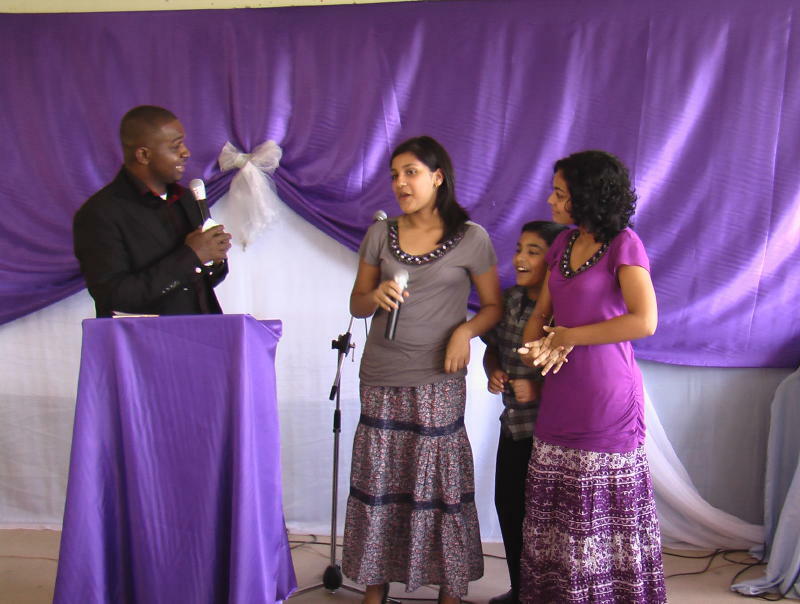 During the sessions, the pastor had our kids come up and encourage the congregation. They were a bit shy at first, but Abigail, our middle child, shared that even the young people can lay hands on the sick and see people healed. She should know! At seven years old, she prayed for a lady in Russia with huge tumor on her head that instantly shrank and went away! Many more doors of ministry are opening. Just yesterday, I was able to minister on radio for the first time ever. People are also contacting us for us to help them and to minister. We don't know yet everything that we will be able to do, but we appreciate your prayers and your support. We don't take it for granted.